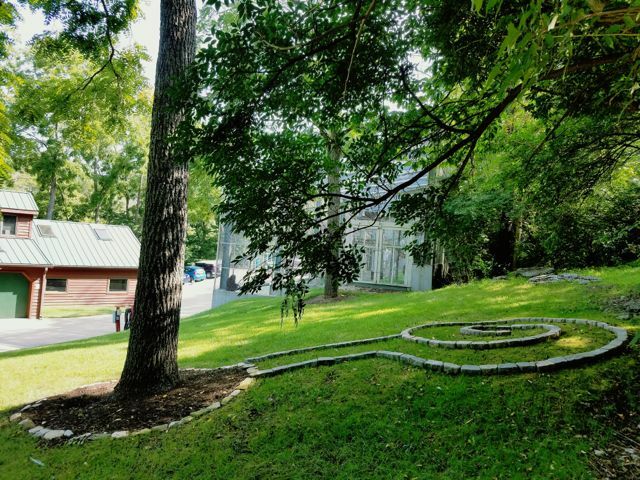 At the beginning of summer, we began planning and constructing a memorial garden as a way to honor and always remember the primates we have lost over the years. 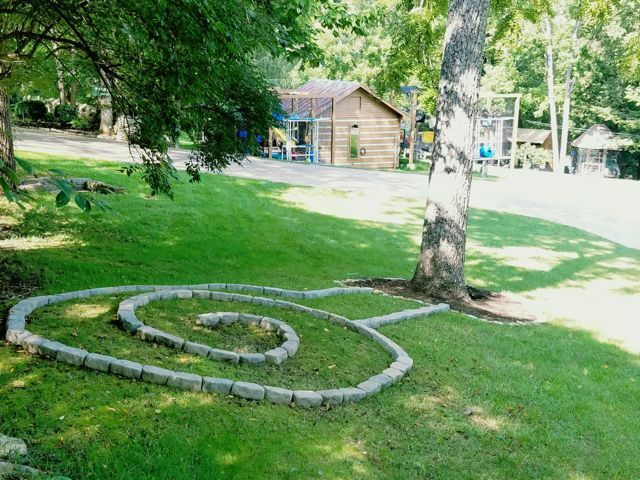 We started by choosing a tree near the chimp enclosure as a focal point for the garden, then lined the tree with decorative stone and mulch and created a spiral of stones extending out from the tree base. 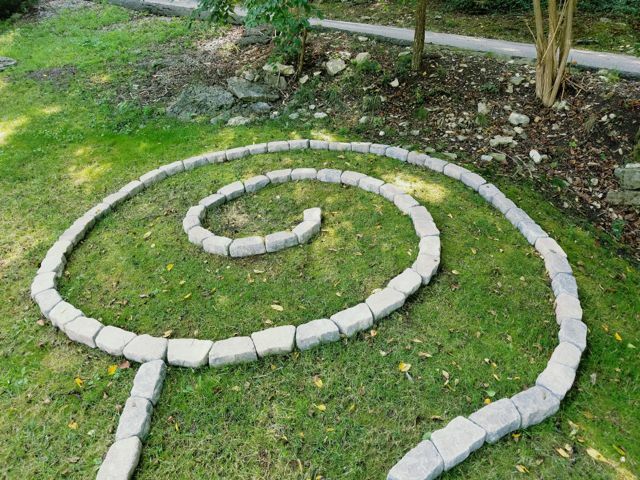 This spiral of stones will display the names of all the beloved primates who spent their final years living at the PRC, and will be where we bury their ashes (all deceased primates are respectfully cremated). In the middle of the spiral will be a beautiful birdbath. This will be a place where people who knew these residents can come to remember their life in sanctuary, or for those who didn’t have the pleasure of knowing them, they may reflect on the legacy they have left behind. Because the garden is located next to the chimp enclosure, they will never be far from their friends and family. One monkey who will be honored in this memorial garden is Gizmo. Gizmo was the very first primate to be rescued by PRC founders April Truitt and Clay Miller, and thus began the journey of hundreds of primates to be rescued and rehabilitated by the PRC since 1987. The construction is ongoing and we hope to have the garden completed by the end of the summer. We look forward to finishing this project and having a proper memorial for these beautiful souls who brought so much life, love, and laughter to all those who encountered them. Please contact us if you would like to make a donation toward the memorial garden or in memory of any sanctuary resident who has passed.